It is now confirmed that the most data consuming operating system by Microsoft is widows 10. The OS is built to have full features enjoyed online. Running windows apps and desktop application simultaneously is one of the reason of the high data consumption. 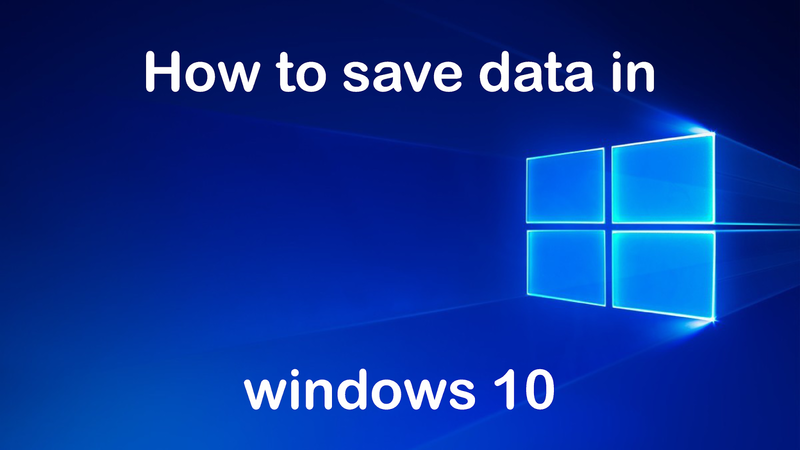 In this tip you will be exposed to the means you can save your data in windows 10 and the application you will need to check mate high internet data consumption. BITS: This is an acronym for Background Intelligence Transfer Service. BITS is a windows service that Transfers files in the background using idle network bandwidth. But actually is does not use an idle bandwidth, it uses all your internet bandwidth and leave you frustrated with any application that requires internet you are running. For instance, you have BITS running and you are working with your browser, you will notice the lag in interne while browsing. This is because BITS is consuming all your internet bandwidth and also your DATA. If BITS service is disabled, then any applications that depend on BITS, such as Windows Update or MSN Explorer, will be unable to automatically download programs and other information therefore saving you internet bandwidth and data. Windows Update: Windows update in windows 10 is not like a switch button in other lower OS. In windows 7 you just turn off windows update from the control panel settings. But in windows 10 you do not get that feature and this makes update compulsory. To save yourself some data and disable windows update in windows 10 you have to go through windows services. Application Background update: This is a case in every device and every OS, ranging from smartphones to smartwatches and PCs. Most application are built to have an update run in the background immediately a host device connects to the internet. Suspect applications are anti-viruses. Virus/Malware: Every virus or malware may need a backup each time in order to remain strong in the host, hence the need to get more of its black codes from its source or origin. In the process of doing this, it consumes useful amount of internet data and bandwidth as well. Malicious application goes further to install unwanted apps that may be very harmful, or even run ads, I have been a victim. Wannacry is an example. You can access windows services by Holding down windows key and press R = Windows key + R. This will launch RUN, Type Service.msc to open Services. How to disable windows update in windows 10? Use the drop down menu to change from automatic to disabled. Click on Okay and Apply. Using a Wi-Fi hosted network/Hotspot without setting the connection to be a metered network will give Windows 10 the ability to download anything, I mean anything over that network. network traffic, data usage by every application also internet bandwidth and how applications share it(bandwidth). Glasswire brings all these feature in a nice UI and enables to block any unwanted application that consumes much of internet resources by Firewall. Launch glasswire move over to the Firewall on the top column to see all applications using the internet, the block any application you want to restrict its access to the internet.